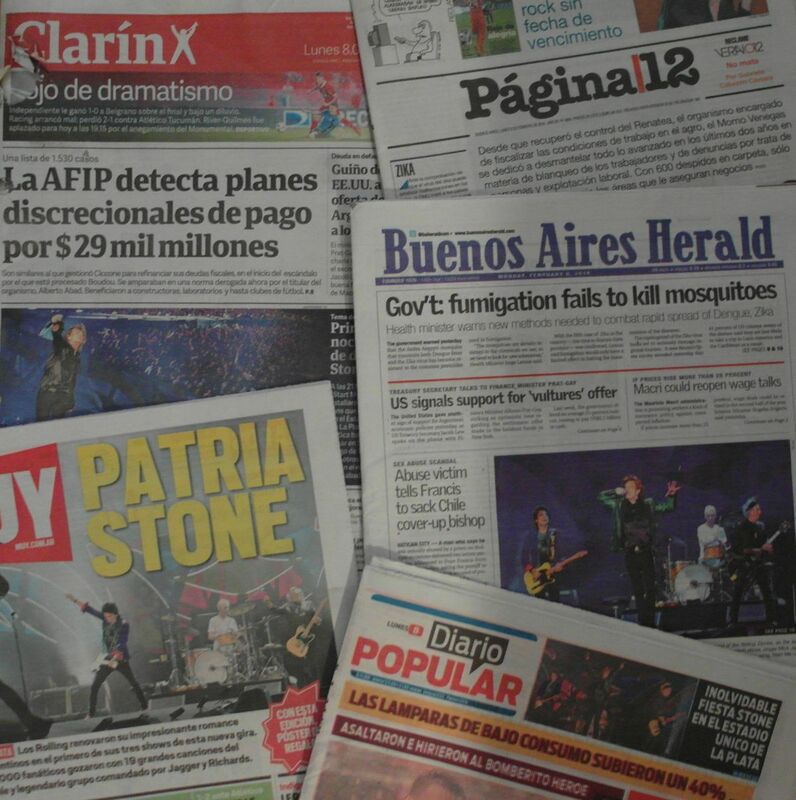 Just as most Muslims must make a Haj to Mecca, so must every Rolling Stones enthusiast try and make a pilgrimage to Argentina to see the band play for its craziest fans - in this case, many energetic youngsters who have no memory of the Stones' last Argentine swing a decade ago. 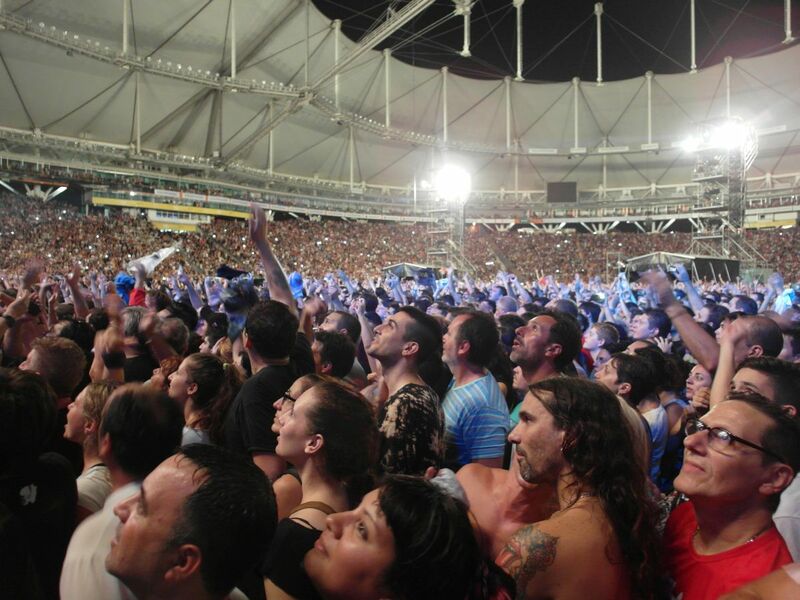 As with the Haj, the first of the Stones three shows at Estadio Unico in La Plata on Sunday was a chaotic mass of heaving, chanting bodies. And it seemed there was also a spiritual aspect as the rain gods put a stop to three hours of steady showers just before the Stones took the stage. Mick and pals knew immediately, from the opening notes of "Start Me Up," that they were not in the United States anymore, where baby-boomers yell at you for standing in front of them during a slow song, or the security guards make sure you don't dance too aggressively in your designated spot. 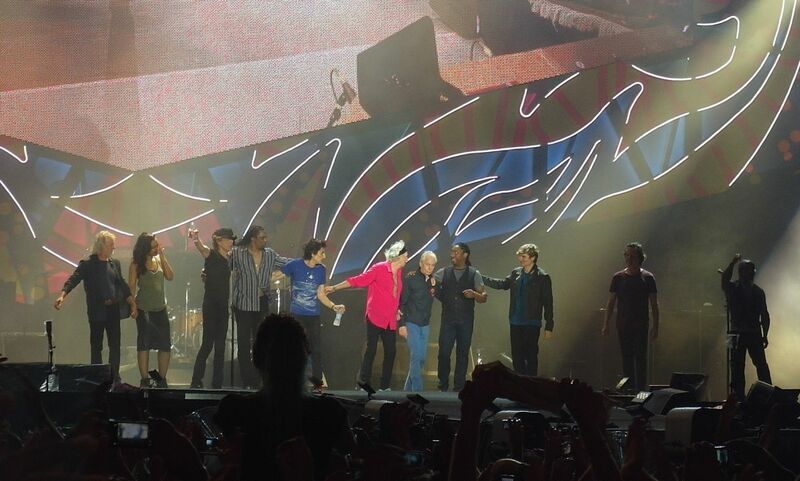 Unlike the first stop of the Stones' Ole tour in Santiago last Wednesday - and the upcoming Brasil shows in Rio de Janeiro (Feb. 20), São Paulo (Feb. 24, 27) and Porto Alegre (March 2) - the La Plata floor was not divided into sections with the big spenders up front. It was a totally democratic, yet anarchic, sea of boisterous Argentines surging back and forth at terrifying intensity. You never knew if you were about to get your leg snapped or ankle twisted. "Keep on pushing" - from "Tumbling Dice" - set the theme early on. I was on Keith's side, all over the place - and none of it was under my control. I felt as if I was standing in a rugby scrum. About halfway through, when things start getting boring anyway, I thought it would be a real drag to be injured at the second show, and so I moved off to the side a bit. But there was no real escape from the intensity. Like everyone else, I was soaked anyway, from the rain and the sweat worked up in the 30-degree Celsius heat. It was probably the noisiest crowd since the Stones visited Madrid in June 2014. Indeed they managed to drown out the local choir that sang the introduction to "You Can't Always Get What You Want." As for the show, which lasted about two hours, twenty minutes, the band maintained the high level of consistency displayed in Santiago. There seems to be little room for improvement, musically. Highlights included "It's Only Rock 'n Roll" and "Paint It, Black." "Midnight Rambler" (14:18) didn't quite do it for me tonight, and Keith signaled to Charlie quite early in the breakdown to up the tempo for the climactic finale. As expected there was little change in the set list. "Street Fighting Man" was a popular addition, after being chosen by Internet poll. Also in was the less-beloved "Anybody Seen My Baby," where Mick and Bernard curried favor with the crowd by rapping various local place names, like Cordoba and Mendoza. That reminds me. One of the banners (ugh!) read, "Thanks for coming, Morón," which must be disconcerting to those on stage unless they are up on their geography. I didn't take notes because everything in my pocket was soaked, and it wasn't practical anyway. But I do remember that some sort of pigeon somehow decided it would be a good idea to fly quite low around the stadium during "Jumpin' Jack Flash." Bad idea. I think the lights and noise were too much for it, and it seemed to crash near the catwalk. Cowbell wars. OK, Chuck started off "Honky Tonk Women" with his bell (and maybe he did it in Santiago, too), and a smiling Matt Clifford gestured to him with empty hands. At some point, Chuck starts playing keyboards, and Matt takes over on his cowbell. Can't we just dump the song and do "Country Honk" instead? Sasha was more confident tonight, and the crowd loves her. I hope she sticks around. Looking forward to the next two shows, but I think I will have to spend all day in bed recovering. Just as well there is nothing to do in La Plata. We arrived by bus from Buenos Aires by 6:30pm. It was raining a lot, and by the time we got into the stadium we were all wet. I had my valuables like ticket, camera and papers safely in a plastic bag, but my money and everything else was soaking wet. Never mind. This is Buenos Aires. I found a spot by the left front, Ronnie side. The mood was great and there was lots of singing. The guy next to me asked "Where are you from?". I said "Norway". Then the three of them started a song with dancing, singing "Noruega" "Noruega" "Noruega". So I got my own Olé Tour song tonight. Everybody so friendly, you can feel that everybody is here to party, to have fun, and to listen to the Stones. I stacked my camera away before show start. I have been here before, in Argentina, I know the show start will be like a take-off. "Start Me Up" - everybody is jumping and dancing. Mick has got some 50,000 backup singers tonight. 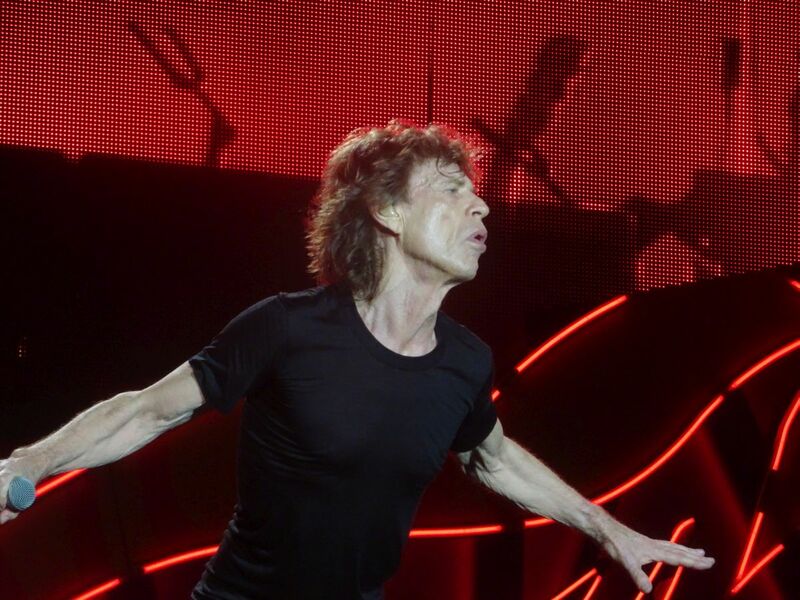 After "Tumbling Dice" Mick is saying a joke about Uruguay. He says they had a long way to La Plata but it will be shorter in Montevideo. Then there is a roar in the crowd and everybody is singing "Argentina" "Argentina" "Argentina". Next up is "Out Of Control", played to perfection. I start to move from my spot to the B-stage, as I want to be there by the time they play "Miss You". But before that we get more great singing, lots of jumping, I move like a bottle in the sea, just try to keep above the ground, so that nobody is breaking my legs. "Midnight Rambler" is on as I get closer to the B-stage. 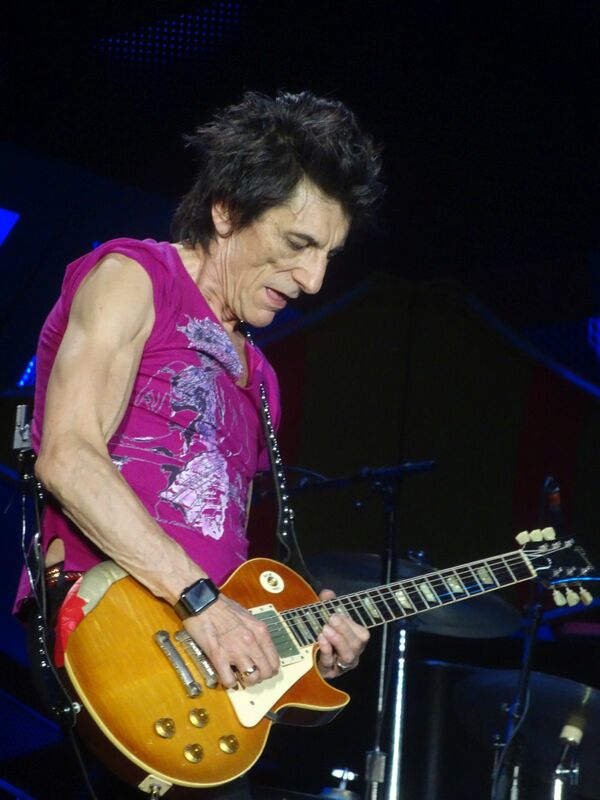 I love Ronnie's guitar playing during Rambler, and the song is an obelisk, a true monument of the Stones and their performance. "Miss You". 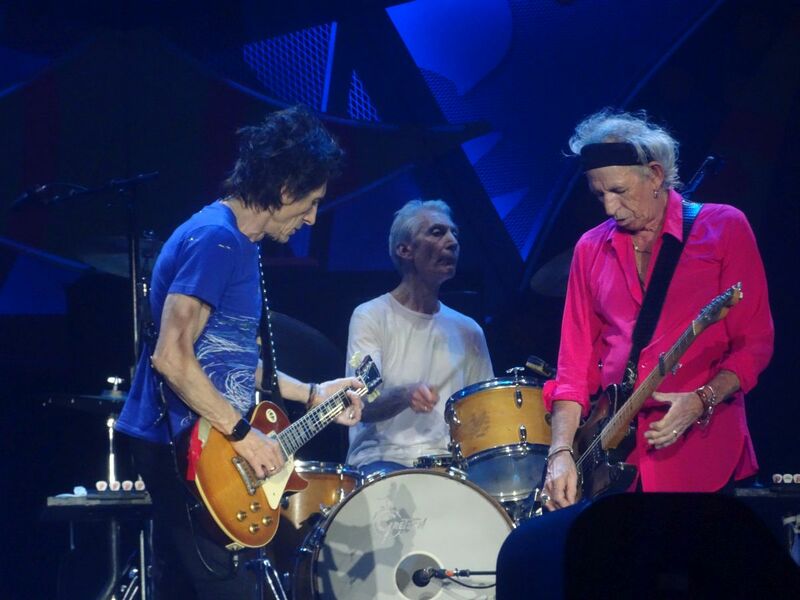 Keith and Ronnie join Mick on the B-stage. There is a big rush to the front of the B-stage. What was hundreds of fans on a larger area is now hundreds of fans almost front row B-stage. The squeeze is hard, but we jump and I have to jump too so that I can follow the flow and not fall behind. You either go with the flow or you fall behind. My camera do have a brief visit in my hands for a second or two, but it is mostly stacked away safely. 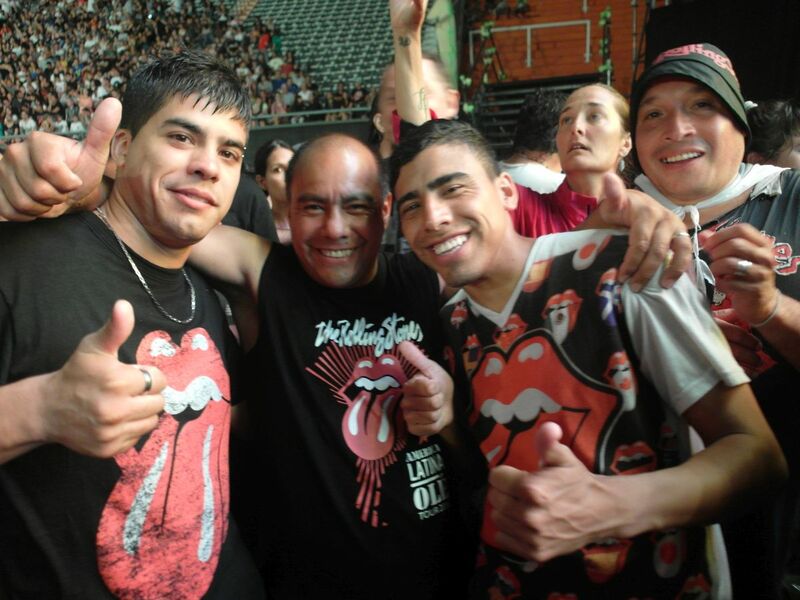 The rest of the show is just a powerful party of Stones music and the joy of the fans from Argentina. 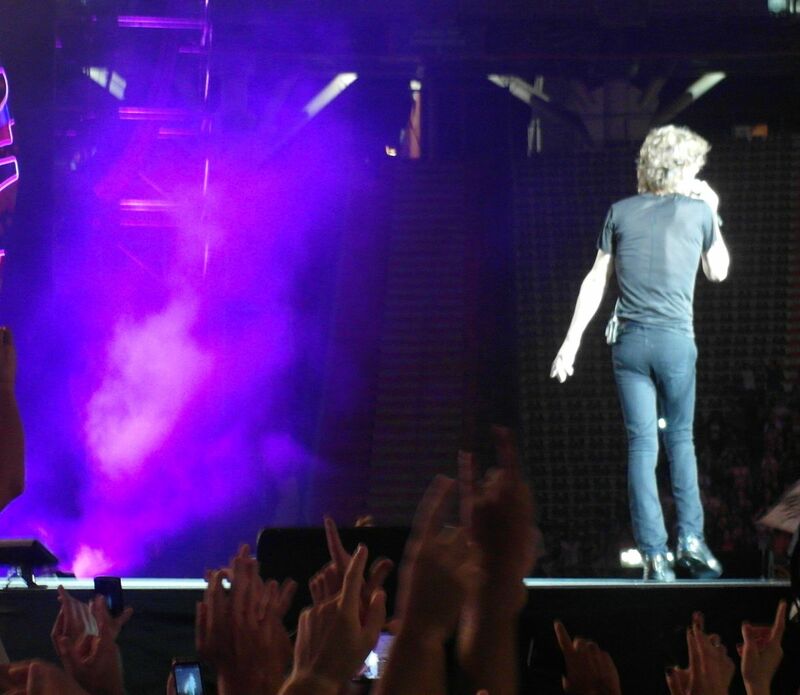 I wish every Stones fan could enjoy this wild yet exciting crowd, it is so momumental to the fans and to the band. One field, no barriers, no pit, just one crowd. The show lasted for two hours twentytwo minutes to be exact. They cut the singing between the songs, by starting the next song immediately, otherwise the show would have lasted much longer. "Satisfaction" was the most popular song of the show. Then time to take the long way home from La Plata to Buenos Aires. I was home in my room in Buenos Aires by 3:40am or so, in desperate need of a shower. Then I was sleeping in seconds, with a big smile on my face. Oooh La Plata! I knew it wasn't gonna be that easy to get to the stadium for the first show here in 10 years. But whatever, I got there in the early afternoon. Actually getting to the city ended up not being a problem, but then getting to the stadium got quite messy, this if you left the car quite far from Estadio Unico in order to get a good parking spot. And it looks like it was the same for most of the people, but whatever, we finally did. A heavy storm was threatening us, but then it only rained for a while, but the winds were quite strong for some time. 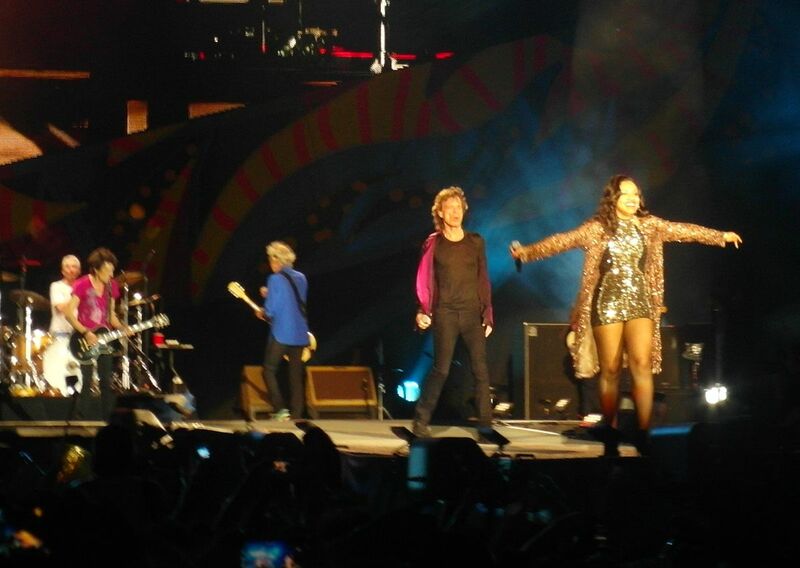 About 9:20 the Stones finally hit the stage in all their glory. 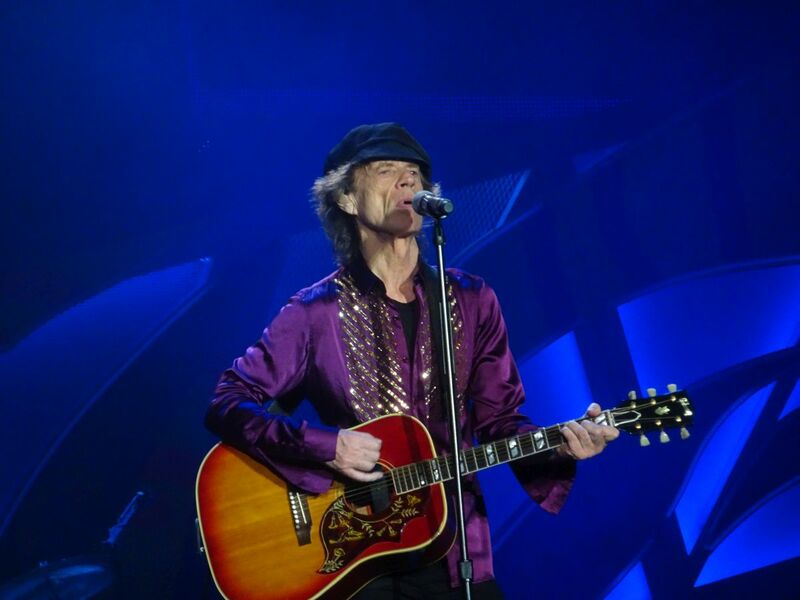 I'm proud to say we've got of the best audiences here (if not THE very best one), and the Stones know it and love it. The show went though all right, but suddenly some sound issues began when they started playing 'Anybody Seen My Baby' (which came right after 'Street Fighting Man' which was, let's put it this way, awesome!) Let alone the sound problems and other tales (Mick happened to forget the lyrics a couple of times, he even sang the first verse of 'Honky Tonk Women' twice), the band were in top form. They all looked REALLY happy. All it took was a look at Keith's face, and it wasn't that old smile he always gives us, but a big one, he was truly thrilled. Not to mention the huge ovations, all of them got big ones that didn't seem to stop hadn't they started playing the next song. Needless to say, I was mostly in tears throught most of the concert, that's how emotional it got! I am Argentine and I had to wait 10 years to see them again in my homeland. I’ve had the chance to see them several times in the US and Europe over the past three years, but the reunion at home was unforgettable. The show was, once again, up and down the stage. This is something that stands out greatly from other places. 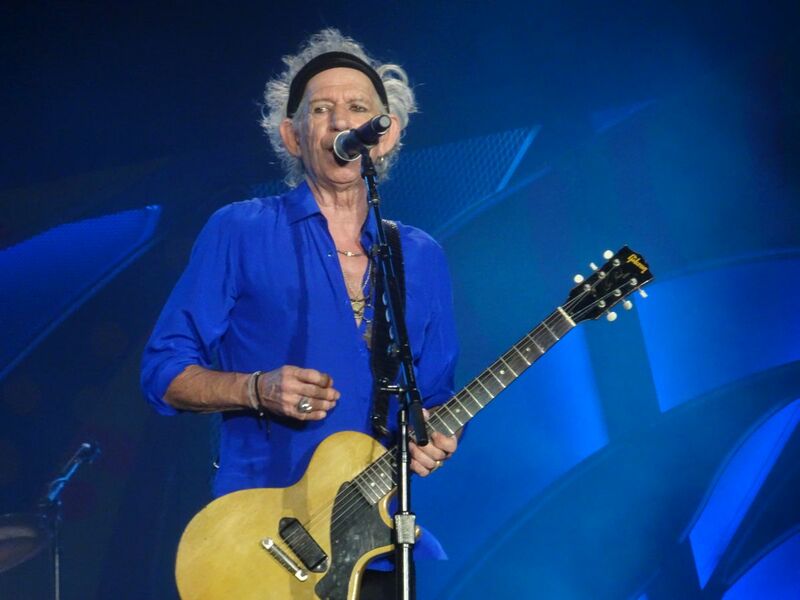 I think everyone loves the Stones, but the Argentine public has a need to show it with more emphasis, especially because of the idyll we have with Keef. There is a deep connection. The show was flawless. The setlist was similar to the one of recent years. The differences were: Street Fighting Man (by request) and Anybody Seen My Baby?, the latter had not been played since 1998, and it really was a version that Mick will want to forget. 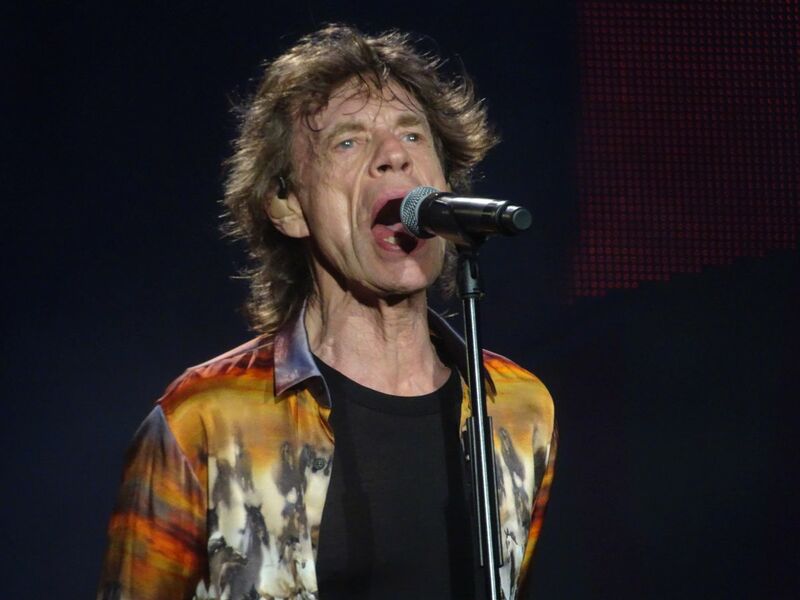 Mick sang with a higher pitch and then, after a few sentences, he began to sing out of time. Apparently, he had problems with the echo on his earpiece and had to rely on Bernard Fowler to enter correctly after the chorus. 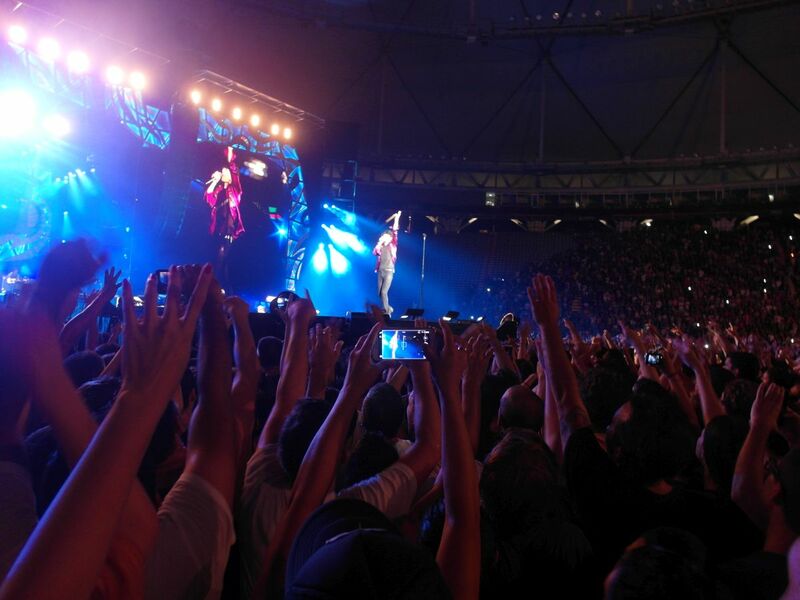 Bernard, besides attending Jagger, had his hip-hop moment naming several Argentine cities in the middle of the song. I think Mick suffered a lot this interpretation. The musicians’ presentation was a separate chapter. All the Stones were highly acclaimed, but with Keith everything fell apart. It was a deafening storm of shouts and applauses. Keef was noticeable excited, his voice broke and he hesitated to start with Can’t Be Seen, for a few seconds. Richards was the spectator of the show. The highest points of the show: Midnight Rambler with excellent guitar skills by Ronnie, Sympathy and Satisfaction. I’m still impressed by the quality and thoroughness that Charly has while playing drums. He never misses a beat. It should be noted that the work of Sasha Allen was excellent. I miss the shows in Europe and USA so much. I miss the tranquility of enjoying the show and coming home without body aches. However, I'm already looking forward to keeping on rolling again on Wednesday and Saturday. Stone Party to the fullest!!! 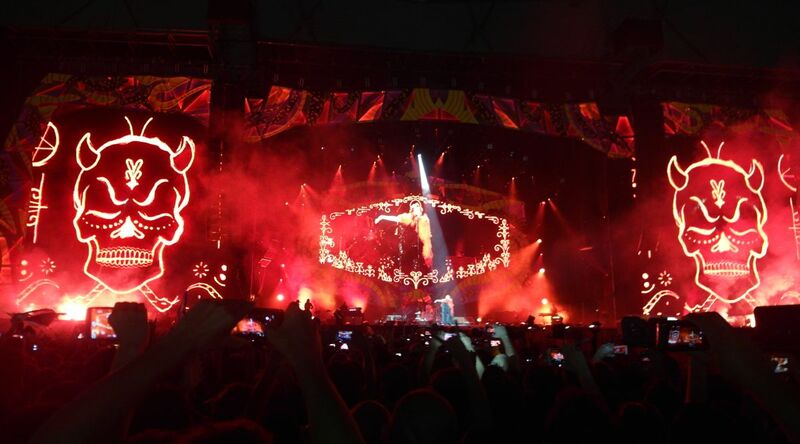 Argentina’s passion has its Olympus and it is called "Rolling Stones Show" !!! I’ve only been able to attend 11 out of the 13 times they’ve performed (so far) in Argentina and each time it’s been the same: ecstatic, excitement, Stone craziness, Intimate vibration with every "rollinga" chord, devotion, connection with each one of them, admiration, incredulity to have it only five meters away, after yearning it for so many years ... they are our Gods and we prove them so, every time they descend to the land of their religion!!!! We stood 4 hours prior at their altar while the rain tried unsuccessfully to extinguish our fire. Fire that came inexorably to finally surrender at the foot of their Satanic Majesties…! Finally, with some minutes of delay, which only increased the outbreak’s power when the first chords of Start me Up ignited instantaneously, with its surge line making thousands of bodies-spring jumped while chanting the lyrics.... we were in vertigo already and it was going to be unstoppable!!! In addition to the excellent performance, -that impelled us to give increasingly energy as we sing, jump clap and cheer to finally release all our emotions to throw them to the band-, Mick was very outspoken, more than usual, he told us what places they’ve visited and even praised our singing qualities. The permanent scrum we were immersed during the whole show, consumed tons of energy at the beginning and during the choruses of each classic. We make the most of the band’s presentation to show them our devotion, especially to Keith who was the first to arrive in these lands. Far away with the Expensive Winos and the desperation to see him. This was unknown to him, but it has left a mark like a scar that will never dimmed and deepens every time he comes, because, like Mick said: we are a " Magnificent Public"…and it’s true:). All performances were excellent and we reached the bottom, but the one they made of my favorites, Midnight Rambler, was beyond all. They played it for more than 14 minutes !!! !